Highly polished. From tree-trunks dug up in East Java. Fossil plants from the Late Carboniferous, including Lepidodendron sp. (the long curving fossil at the bottom of the first image) and others. Selling as I am reducing my fossil collection. Dispatched with Royal Mail 2nd Class. 2 pieces of petrified wood , one from Arizona and one from Africa. One piece of lava from Etna, all in perfect condition, would make a lovely started collection, weigh heavy - 3kg. Petrified Wood - Indonesia Indonesia has the largest deposit of petrified wood in the world, larger than Brazil, Arizona or even China. Indonesian Petrified Wood is from ancient teak (hardwood) trees that turned to stone. Fossil fern. Condition is Used. Dispatched with Royal Mail 2nd Class. The thin section is of a piece of fossil charcoal that represents evidence of a forest fire 225 million years ago. Despite the age and fire the cells of the wood are still clear to see. These slides are slightly thicker than we normally produce as the wood is fairly soft and difficult to prepare. PRODUCT - A Piece Of Petrified Wood. The Item In The Picture Is The Actual Item You Will Receive And Is A Genuine Fossil And Not A Replica Or Copy. We suggest saving the picture or taking a screen shot of the image for your own records. Age: Mazon Creek Formation, Carboniferous. Style: Nodule split in two halves exposing fossil. Finally after hundreds of thousands, or millions of years, the land is eroded and the fossil can be seen. From Carboniferous age deposits, Saint Claire, Pennsylvania, USA. HEXAGONIA DISPHYLLIDAE FOSSIL CORAL. found: Assa Zag, Western Sahara MOROCCO. Weighs 350 - 650g. (Polysporites wardii pocket rot fungus. Araucarioxylon ) that has been infested with. 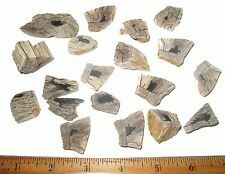 2 Petrified Wood 3cm Polished Tumblestones with Crystals. Combined Weight 75g. Petrified Wood is good for grounding and protection. Combined Weight: 75g. Supplied with a velvet pouch. Alethopteris serlii. Attractive slabs of fossiliferous coal from the Pottsville Formation of Pennsylvania. Pinnules are clear to see as is the veination. In all cases the following applies. Hello, here is a big very colorful and 100% natural petrified wood fossil that has been cut and highly polished! It was found in Northeast Arizona. This "rock" was a fallen tree that lived in the Late Triassic a Crazy! Hello, here is a super nice and 100% natural petrified wood fossil with tons of SMOKY QUARTZ crystals on one side.neat! It is from the old Ernest Shirley collection out of Hanksville Utah and was found in Southeast Utah ! 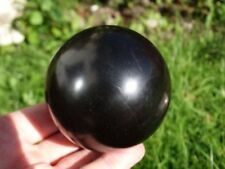 (WHITBY JET THEN CARVED INTO A GREAT DETAILED GREEN MAN ROUND CABOCHON CARVING WEIGHING 3.2CTS ! you can see the polished woodgrain on the back of this natural sea washed whitby jet piece. look great set in silver or just a cool talisman gift you can see the shiny polished jeton the back 14mm by14mm super fine detail :). Hello, here is a Great BIG! super nice and 100% natural petrified wood fossil that was found in Utah ! This "rock" was a tree that lived during the Late Triassic era a Crazy! 250 million years ago! Hello, here is a big 100% natural petrified wood fossil that has been cut and highly polished! It was found in Northeast Arizona. This "rock" was a fallen tree that lived in the Late Triassic a Crazy! Hello, here is a great big super nice and 100% natural petrified wood fossil with tons of SMOKY QUARTZ crystals on one side.neat! It is from the old Ernest Shirley collection out of Hanksville Utah and was found in Southeast Utah ! Hello, here is a big very well defined and 100% natural petrified wood fossil that has been cut and highly polished! It was found in Northeast Arizona. This "rock" was a fallen tree that lived in the Late Triassic a Crazy! This is an attractive, fossil plant on brick red shale. Forest of Dean, Gloucestershire, UK. KATE TEST 2. To this end, I will do my best to respond as quickly as I can to any queries or concerns. 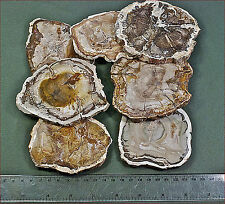 Extremely Rare Polyporites Wardii fungus in Arizona Petrified wood. This has been replaced by unique calcite or possibly barite. Very rare! This is from a remote part of Apache county Arizona. Weighs about 5.5 lbs Photographed dry in all pics. Good luck finding other specimens like this on eBay! Check out our other listings! We can combine shipping whenever possible. We are a father and son rockhounding team and we appreciate your business! Thanks! Reilly’s Rocks Shawn and Reilly Ray. Hello, here is a super nice and 100% natural petrified wood fossil.neat! It is from the old Ernest Shirley collection out of Hanksville Utah and was found in Southeast Utah ! This "rock" was a fallen tree that lived in the Triassic era a CRAZY! Fossil leaf Leaf Zelkova Zelkovifolia, Miocene, Hungary with display stand. Attractive and delicate fossil leaf of species Zelkova Zelkovifolia. The chalky matrix it is on is very fragile and so needs to be handled with great care. Fossil Plant- Cyathocarpus Arborescens- Carboniferous, Gloucestershire, UK with small display stand. New Fancy Colliery, Forest of Dean, Gloucestershire. Small fossil plant on brick red shale and from a colliery which has now shut down. A fossil leaf, Platanus wyomingensis. This particular species is very sought after by collectors. From the Eocene age, Green River formation, Uintah County, Utah, USA. Braidwood, Illinois, Francis Creek Shale. Age 300 million years. Size 76mm (whole piece). In BALTIC AMBER. Location: Baltic Coast, Kalingrad, Russia. 5 FLIES FOSSIL. The item pictured is the exact item you will receive. The pictures do not justify beauty of this amazing piece! Attractive Large Fossil Leaf with interesting Caterpillar Predation with display stand. There is evidence of caterpillar predation, making it an interesting piece. The leaf is of a deep brown on a lighter matrix. An ideal unusual gift idea, addition to collection or educational tool. Glossopteris are an extinct order of seed ferns that lived around 300 to 200 million years ago. They were the largest and best-known genus of the extinct order of seed ferns. Thefossils are from the Pennsylvanian Period and are around 350 to 400 millionyears old. There are 15 fossils in all. A Stunning Double Polished Petrified Wood Specimen! A Unique Polished Petrified Wood Specimen From Oregon! A Regal Polished Petrified Wood Specimen From Oregon!